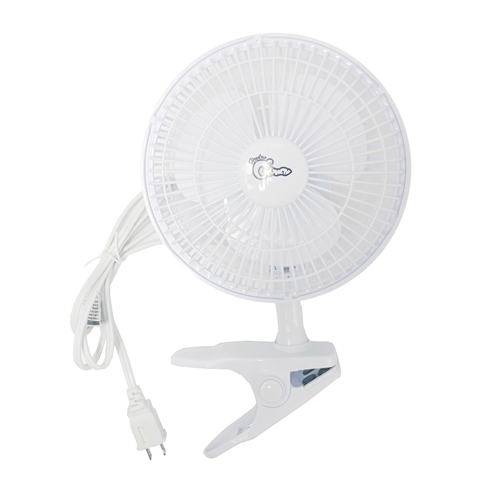 This versatile little fan can be placed almost anywhere you need to feel a cooling breeze. The attached clip holds tightly without marking surfaces. While the adjustable tilt and 360° rotation allows you to move it into almost countless positions. Features 2 quiet speeds and a large, easy-grip control for convenience. 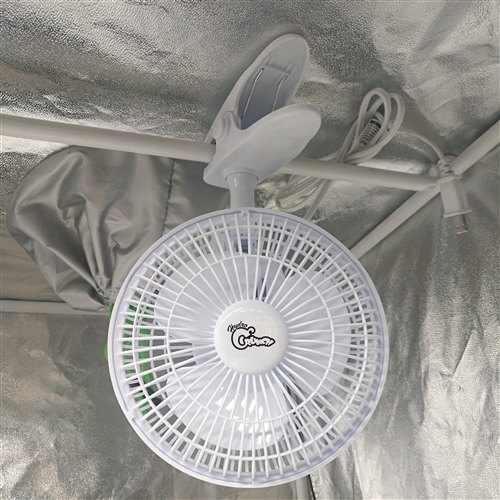 Our Hydro Crunch 6-inch Clip fan tilts and pivots to direct air flow where needed for personal cooling comfort or directing air flow precisely where it’s needed. Dimensions 9 in. x 6 in. x 12.5 in.